Hello, world cup’s best goal, ever! For fans of England, the abiding memory of Mexico 86 may be Diego Maradona helping the ball over Peter Shilton with his ‘hand of God’. 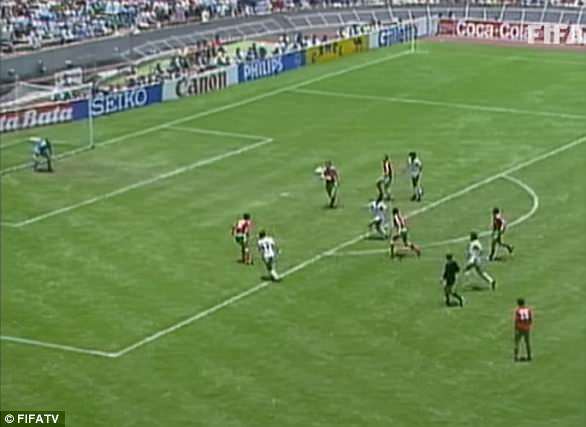 But the tournament also produced the greatest goal in World Cup history. Maradona dazzled, dribbled and dragged his country to their second tournament triumph at the end of a famous festival of football. It was Mexico’s Manuel Negrete who produced the standout moment of the finals, however. More than three decades on from his stunning volley against Bulgaria, the former midfielder has beaten off competition from the likes of Dennis Bergkamp, James Rodriguez, and Carlos Alberto to be crowned the scorer of the World Cup’s best ever goal. Supporters from around the world have been whittling down 32 wonder goals to two. But none — not Dennis Bergkamp’s mind-boggling effort against Argentina in 1998, Archie Gemmill’s iconic dribble against Holland in 1978, any of Zico’s wonder strikes for Brazil in 1982, and not even Eder’s outstanding volley against USSR — was considered as good as Negrete’s flying scissor kick. 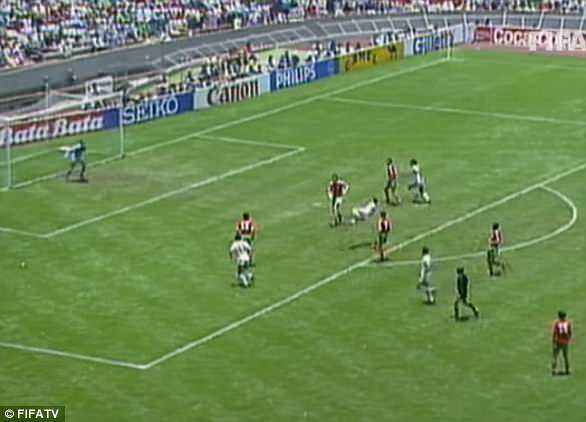 The incredible strike, which set the home nation on their way to a 2-0 last-16 victory in Mexico City, came after 34 minutes at the Azteca Stadium. After finding himself in space around 25 years out, the midfielder — who won 57 Mexico caps between 1981 and 1990 — took a chipped pass out of the air with an acrobatic first touch. 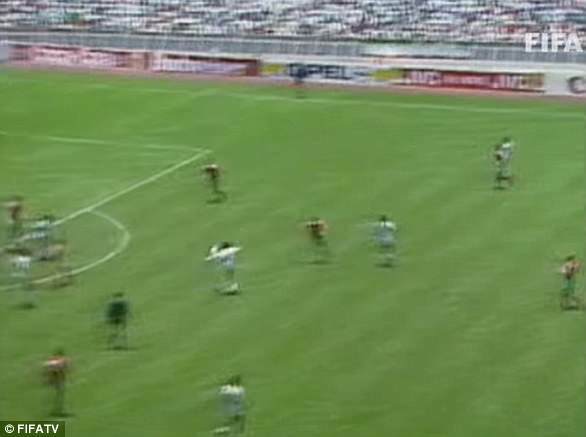 His touch sent the ball high enough into the air to tempt a Bulgaria defender out towards him, in turn freeing up team-mate Javier Aguirre. 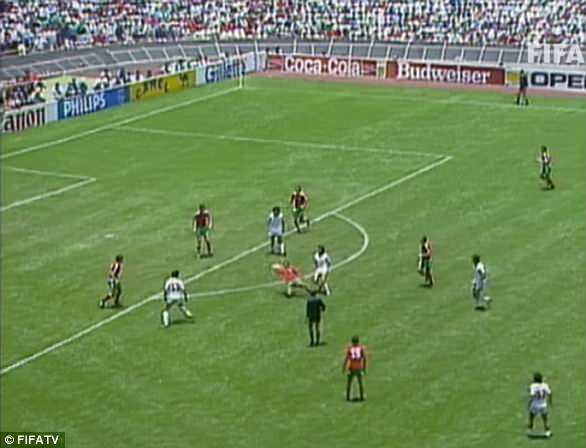 The Mexico pair then exchanged passes on the edge of the box, with Aguirre setting Negrete up with a lofted pass into his path. As the ball came down from above his head, the midfielder launched himself into the air. From a horizontal position, nearly 5ft off the ground, Negrete unleashed an unstoppable left-footed volley that flies into Borislav Mikhailov’s bottom-left-hand corner at 47mph. ‘The Negrete wonder goal is very well known by all of us, although I wasn’t there to experience it, it’s a goal that’s been talked about for many years,’ Mexico defender Miguel Layun told FIFA. The strike sent more than 100,000 fans at the Azteca into raptures. But Mexico’s home World Cup campaign would end six days later, when they were dumped out at the quarter-final stage by Germany. After 120 goalless minutes, Negrete netted from the spot, only for misses from Raul Servin and Fernando Quirarte to seal their fate.